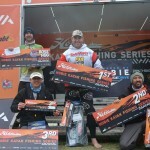 Jason Reid claims victory in the Georges River round of the 2014 Hobie® Fishing BREAM Series – Presented by Daiwa. Jason Reid took first place on Sunday with 6 bream for 3.65 kg and a 250 gram lead over the nearest competitor Simon Morley. 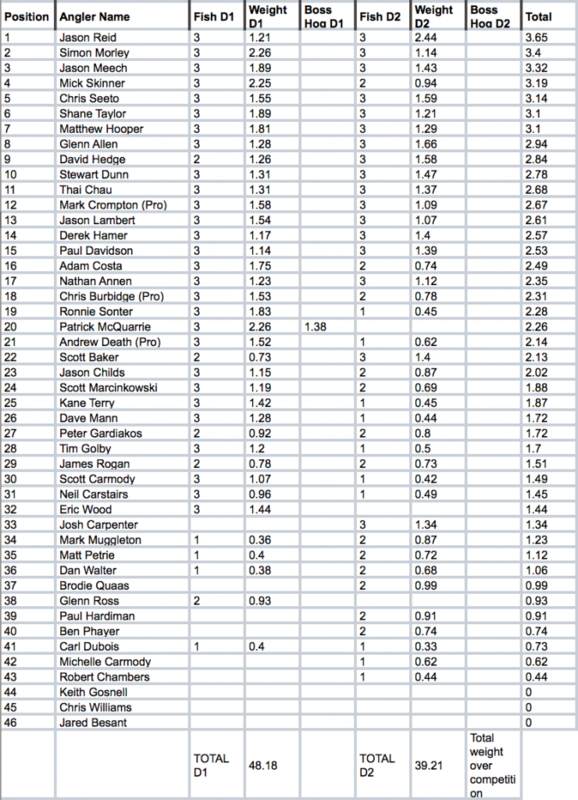 Morely who was equal first on day one managed to hold on to second place with 6 bream for 3.4 kgs but ultimately it was Reid who jumped 21 places to take the title on Georges River. 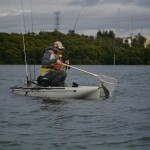 Jason fished the back of Woolooware Bay, working the mangroves to get his day one bag of 3/1.21.kg on day one. Deciding not to leave fish to find fish, Reid hit the same area again on day two, this time slow rolling cranks over the flats to get his bag by 8:00am. 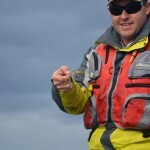 He went on to upgrade twice by 9:00 and then as he was slowly making his way back before the wind got up, landed his 1.28kg “big one” to finish the day in first with three bream for 2.44kgs. Second place getter, Simon Morely also fished in the back of Woolooware Bay behind the racks. 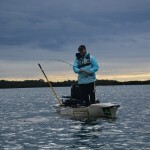 Using Daiwa Black Labels and Caldia 2000s on lighter 4lb line to encourage the bite and then taking the challenge to get them out without getting broken off. 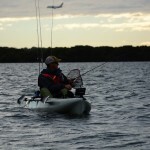 Morley also fished the same area on both days. 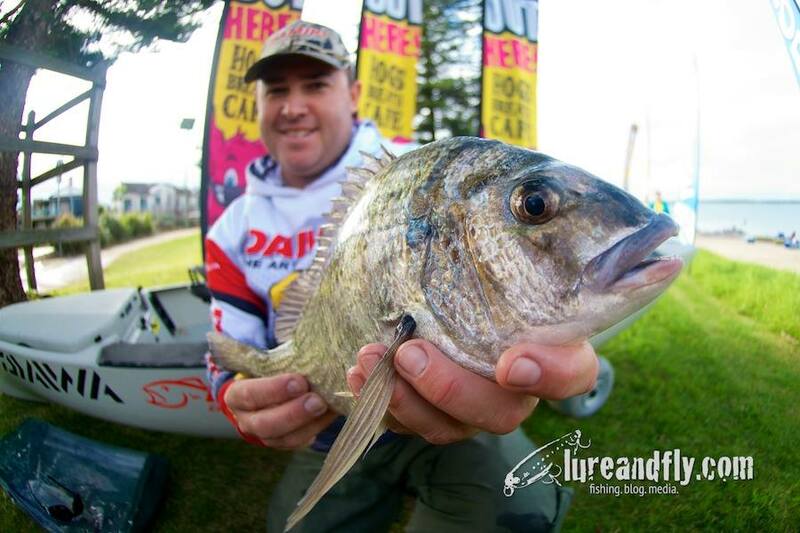 Day one started slowly until the advice of fellow angler Kane Terry on what lure the bream were hitting picked him up three solid fish for 2.26 kg and ended up placing him in equal first for day one. 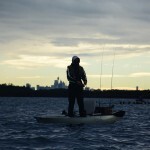 Taking the same approach on day two didn’t deliver as hoped and after going looking, Morley managed to pick up a few of smaller bream to hold on to second and qualify for the Hobie Fishing Worlds later in the year. 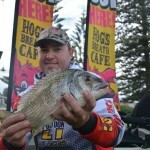 The Hog’s Breath Cafe, Boss Hog Big Bream Award goes to winner of Round 6 at Forster and already Worlds Qualified, Patrick McQuarrie for his day one monster weighing 1.38 kgs which he picked up on a Strike Pro, Cyber Vibe in black along two metre edge near Kogarah Bay. 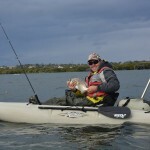 As expected, Georges river turned on some great fishing with conditions providing good cover and no shortage of options for kayak anglers with boat hulls, bridges, jetty’s, oyster racks and flats all producing good bream within easy reach from the launch location. 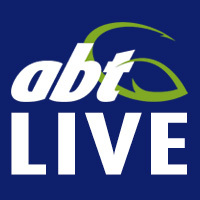 for making these events possible.